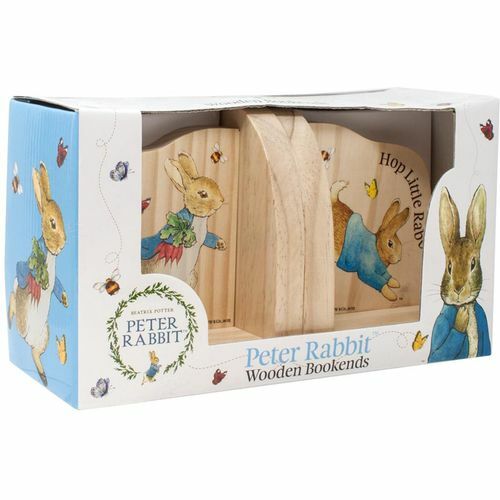 Keep your childs books organised with these lovely Peter rabbit Bookends, featuring Peter Rabbit as he frolics in the garden with a handful of carrots and hops about. 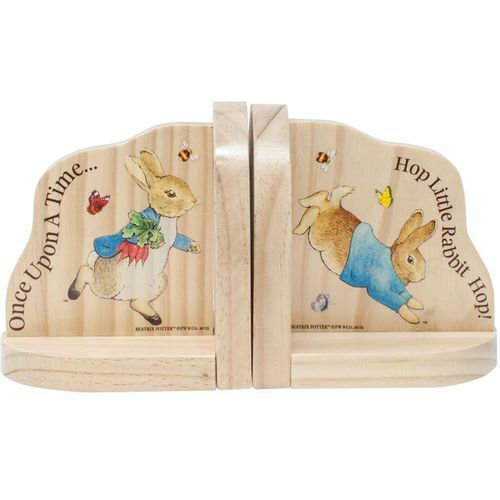 Text on bookends reads: "Once Upon A Time......Hop Little Rabbit Hop." Peter loves to squeeze under the gate and into Mr McGregors garden to eat all of his tasty radishes. What a naughty bunny.